If you are getting the “Unmountable Boot Volume” error while trying to log into your windows 10, you are on the right page where you can know the causes and the easiest solutions to fix it are. The first thing you need to understand about the boot volume is that; this is the particular partition of the hard drive where window system and boot files are stored. If you are having this error, the PC would not boot to windows to allow any use. You will see a warning signal at bottom of the screen that says "UNMOUNTABLE BOOT VOLUME". Part 3: How to Recover Lost Files After Fixing Unmoutable Boot Bolume Error? Corrupt of files on your hard disk: Corrupted files on the hard disk can lead to unmountable Boot Volume Error coming up in windows 10 when you try to start your system. •	Corrupted system files: If there is a corrupted system file on your PC, you can be getting this error. •	Damaged hard drive: A damaged hard drive can cause such error. •	Damaged RAM: A damaged ram will pop up the error. Like every blue screen of death, you don’t need to worry much about unmountable boot volume error if it appears only once. Occasionally, Windows runs into a temporary hitch and you won’t have an issue like that again. If you encounter this error, start PC over again and try to log. If you don’t see the error again for some time, you have nothing to worry about. Usually, however, you’ll see the unmountable boot volume error when you start your PC and it won’t allow you to enter windows 10 at all. In such an instance, continue with more thorough troubleshooting below. Master Boot Record (MBR) finds where and exactly how your operating system is to be traced so that your PC can boot to windows 10 normally. A malfunctioning MBR can lead to problems like Unmountable Boot Volume. 1. Start your PC using a USB drive or a Windows 10 DVD. If there is no available Windows 10 media, visit the official page of Microsoft and observe the steps to create one. 2. Once you start the PC using the USB device or DVD, choose the “Repair your computer” option to be found at the lower-left angle. 4. On the tab of the command prompt, type the following “bootrec /fixboot”, now click “Enter”. 5. Restart the computer. Have some patience while chkdsk search the drive for errors. It can take a longtime though. Using Automatic Repair is the best way of fixing this kind of blue screen error problem. 1. On the Windows Setup display, after choosing your preferred language, go to the bottom left of the PC and click Repair your Computer. 2. Now click "Troubleshoot" on the resulting screen. 3. On the Advanced options display, choose "Startup Repair". 4. Now click on Windows 10. 5. The repair will start instantly. Please allow some time for the process to be completed. Unmountable Boot Volume error may be because of problems on the hard drive. You need to run Chkdsk command to find and fix such problems. 1. Start your computer by using a USB device or Windows 10 DVD; click the “Repair your computer” choice. You can find it at the lower-left corner. 3. On the command prompt screen, type “chkdsk /r c:” and press enter. 4. If the bootable drive is not letter “C", change “c:” with the letter of the bootable drive you are using. 5. Chkdsk can ask that you run it again the next time your PC restarts, just enter Y which stands for yes and reboot your PC to start again. 6. Now you need to restart the computer. You will need to be patient while chkdsk search for errors on your drive. This can take quite some time. 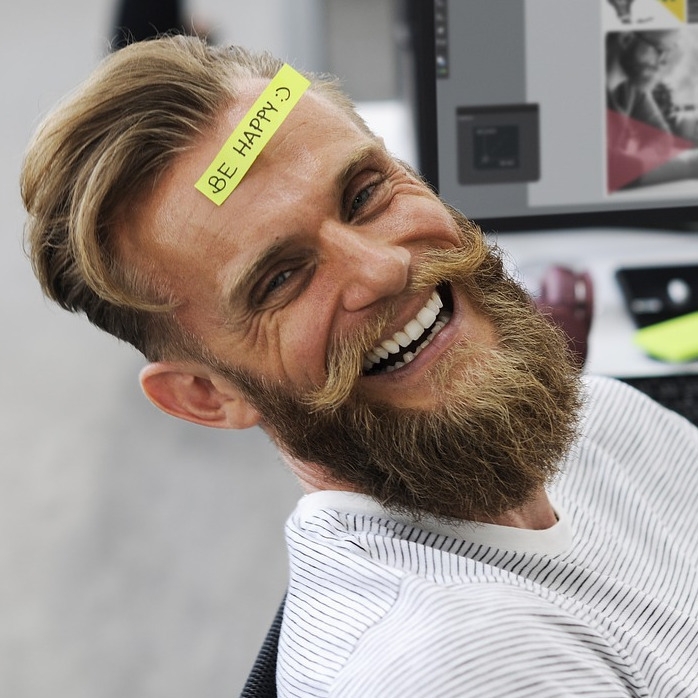 If after trying all the above methods you are unable to get pass the unmountable boot volume error, then you may need to reinstall windows 10. 1. On the screen of the Windows Setup, choose your preferred language, and then click on Install now. 2. Walk through the instructions to complete the reinstallation of the PC. 3How to Recover Lost Files After Fixing Unmoutable Boot Bolume Error? When you fix the “unmountable boot volume” error and access your windows, but you found your files are deleted or corrupted. You must be frustrated, but don't worry! 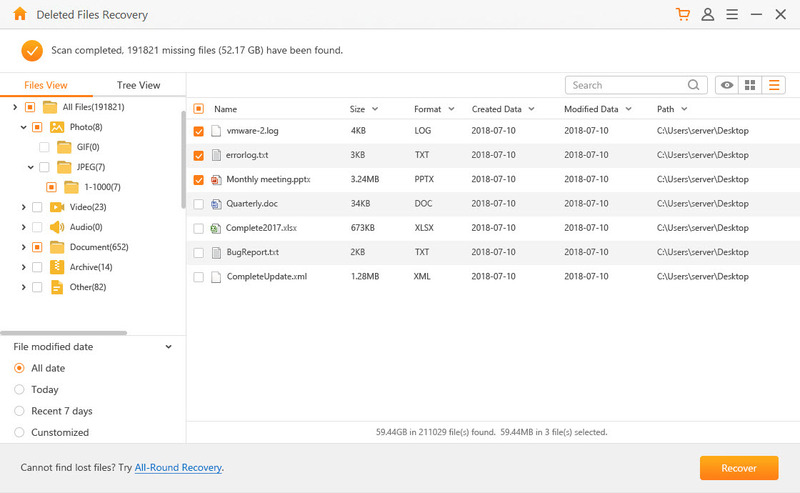 One of the best ways of recovering lost data on your PC or external drive is using professional Data Recovery Software for Mac and Windows known as AnyRecover. AnyRecover is a unique and world class software designed to recover data lost to system crash or unintentional deletion. It is the top software in the data recovery. 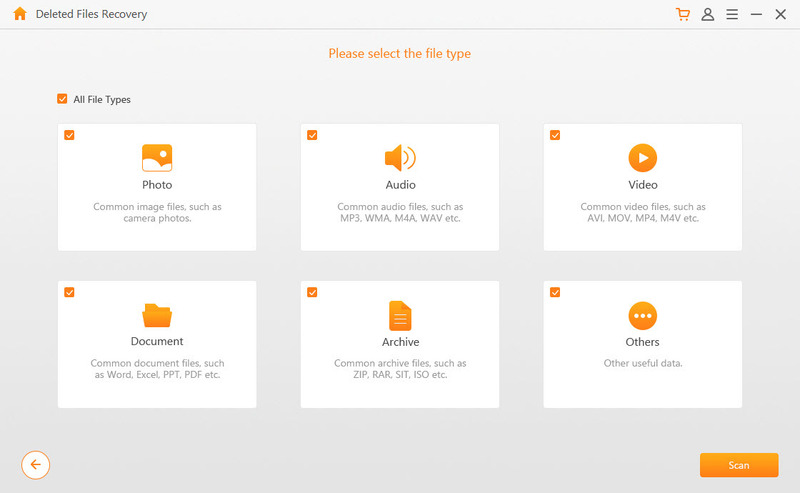 It supports to recover more than 1000 different file formats, like documents, music, videos, photos, etc. AnyRecover data recovery software also supports all types of storage devices. You can recover files from internal or external drives, SD cards, flash drives or even virtual disk Drives, etc. AnyRecover smart data recovery tool can recover deleted or corrupted files very quickly and easily, you don’t need any tech skills to use it. You can make use of the free trial offer to test out recovery of three deleted or corrupted files. 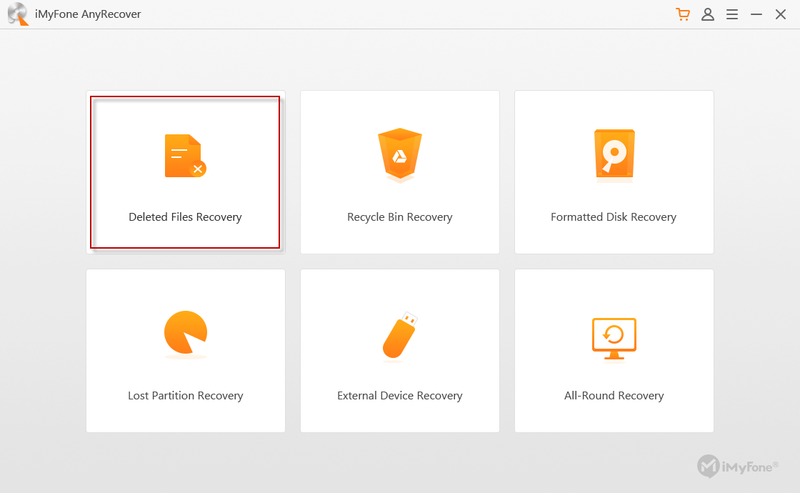 Quickly recover deleted or corrupted files or data with AnyRecover in four simple steps. Step 1. Choose: Install AnyRecover data recovery software on your PC. Run it and choose your preferred mode. Step 3. Preview: Preview the files before recovering them to ensure you are recovering the real file you want. Step 4. Recover: Now click Recover to start PC file recovery.